Frame Details: Archival framing with double matt, air spacer and conservation clear glass. Soft gold frame. Framed size 53 x 66 cm. 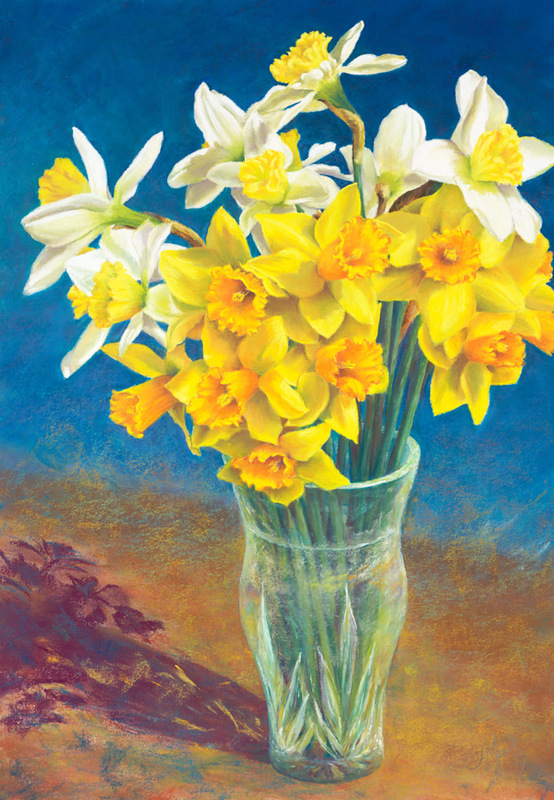 In Australia, 'Daffodil Day' is one of the most popular fundraising events for the Cancer Council. So every year in late August I always buy a couple of bunches of these beautiful flowers in memory of my Father and sister. Their fresh fragrance also reminds me of my childhood when I lived in a cooler climate and I could play in a garden full of beautiful spring bulbs with moist ruffled petals fluttering in the brisk breeze.